The 2018 RAM 2500 is a heavy-duty truck that is designed to give you extraordinary power and potential. 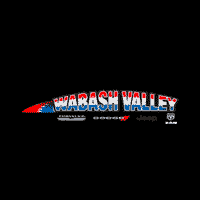 Choose from the 5.7-liter V8 HEMI VVT engine or the 6.4-liter heavy-duty V8 HEMI with MDS to give you phenomenal performance and capability. This truck can make a huge difference in your life, don’t waste anymore time. Serving Kokomo, Indiana.